That title seems like a bold statement: the PERFECT floor for your bathroom! We feel pretty confident that when you learn more about this new flooring option you'll be saying the same thing. It's durable, easy to clean and comes in a wide variety of looks... ready to learn more? Let's review all the great benefits of waterproof composite flooring - your perfect bathroom floor. What is waterproof composite flooring? Waterproof composite floors are tiles manufactured to look like wood, stone or ceramic while also designed for installation in places those floors cannot practically go. Its locking technology keeps liquids from seeping into and below the floor. That means that bathrooms, kitchens... even basements can now have the look of beautiful natural stone or hardwood with no concerns about sub-floor imperfections or water problems. This new generation of flooring truly makes any look available to homeowners. Our waterproof composite flooring has high durability at an affordable price. 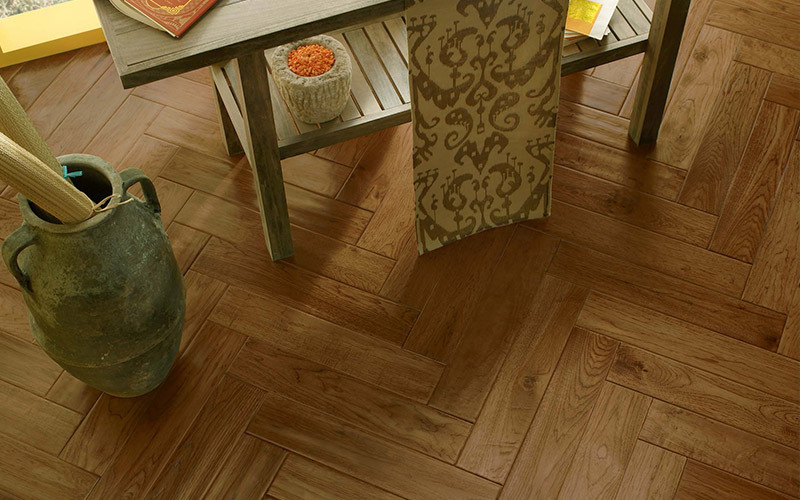 This is a floor that you can afford today and enjoy for years to come - in any room of the house. Uneven subfloors? Heavy foot traffic? Pets? Waterproof composite flooring can handle it all. Affordable luxury that's practical and durable? A floor that's proven to be waterproof pushing concerns about water damage out of your mind? It's no wonder we're calling waterproof composite flooring the perfect floor for your bathroom. Don't just take our word for it, stop by our showroom and see for yourself.